The premise by which Conway and co-author Neal Katyal’s argue against Whitaker’s appointment is based on the Constitution’s Appointments Clause — the provision to which principal officers of the United States must not only be nominated by the president but also confirmed by the Senate using the body’s “Advice and Consent” powers. This argument, Coway and Katyal write, was the basis of a Wall Street Journal article penned by conservative scholar Steven Calabresi, in which it was argued that the appointment of special counsel Robert Mueller to oversee the Russia investigation was unconstitutional because he was nominated by the president. Deputy Attorney General Rod Rosenstein appointed the former FBI director to lead the investigation in May 2017. One day after the midterm election, then-attorney general Jeff Sessions submitted his resignation at the behest of President Donald Trump, according to a leaked copy of the now former top Justice Department official. Whitaker’s appointment does not require Senate confirmation because he previously served as Sessions’ chief of staff. 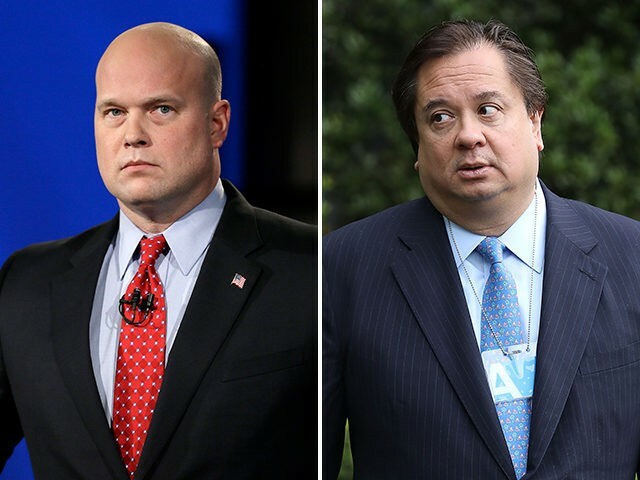 The lack of scrutiny, as the pair write, leaves the public with an acting Attorney General whom may have serious legal and philosophical differences with the spirit of the agency. “The public is entitled to that assurance, especially since Mr. Whitaker’s only supervisor is President Trump himself, and the president is hopelessly compromised by the Mueller investigation. That is why adherence to the requirements of the Appointments Clause is so important here, and always,” the two write.